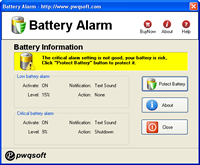 the windows default power alarm setting is not good, it may cause battery deep-discharge, the battery can be permantently damage and lifetime greatly reduced. Battery Alarm change windows power management scheme to prevent battery been discharged deeply. 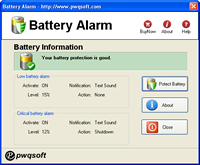 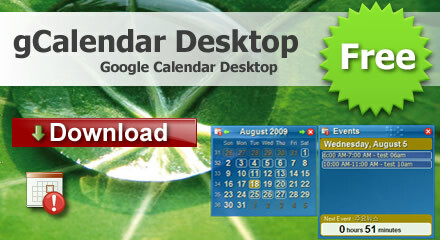 Everybody can use this software to protect your laptop battery now ! 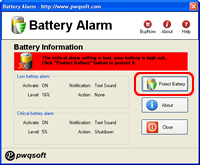 Protect battery which will be able to use for 3 years or more.